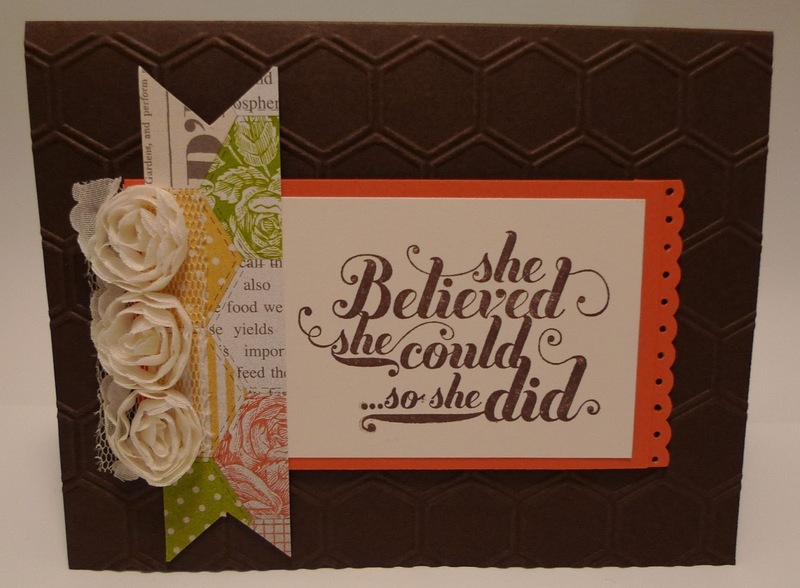 Karina's Kreations: Stampin'Up Feels Good Card! I was going to make a cute card using the Feels Good stamp set #129681 but found a cute card swap I received from Meg McAlister instead. What do you think? 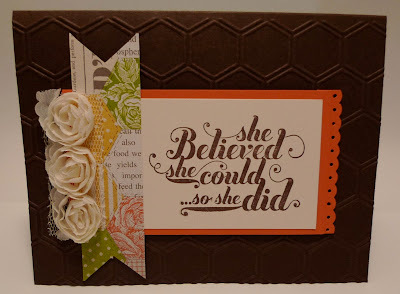 I love her colors, the Honeycomb embossing folder and the Flower Trim roses on this card. Ha! I see we are in another swap together at convention so I came over to see your blog and there is my card. Looking forward to swapping with you again. That's fate!!! I have had your card on my desk for ages and love it!!! It's strange that I choose to post it after all this time! Looking forward to swapping again! I'll put a link to your blog if you like!